Long-festering strains between the world’s two largest communities jeopardize the prospects of a shared Jewish future. Here’s a way forward. The Western Wall in 2016. THOMAS COEX/AFP/Getty Images. Gil Troy is Distinguished Scholar of North American History at McGill University in Montreal. 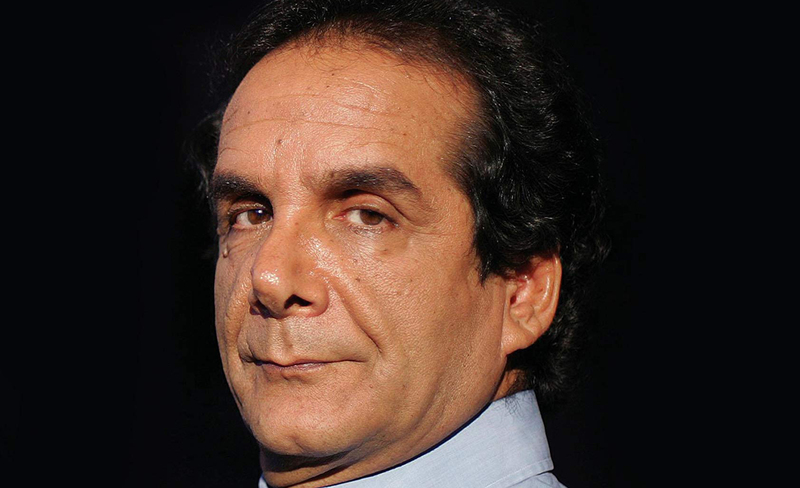 He is the author of nine books on the American presidency and three books on Zionism, including, most recently, The Zionist Ideas. And yet, the survey also testified to something else: 66 percent of American Jews and 78 percent of Israelis describe each other as “siblings,” “first cousins,” or “extended family.” What is more, they assert a sense of common destiny: roughly three-quarters of American and Israeli Jews see the success of both communities as vital to Jewish survival. Here, then, is an up-to-date snapshot of the Jewish people: clashing frequently, arguing intensely, but for the most part unwilling to call it quits. In some ways, of course, this is nothing new. 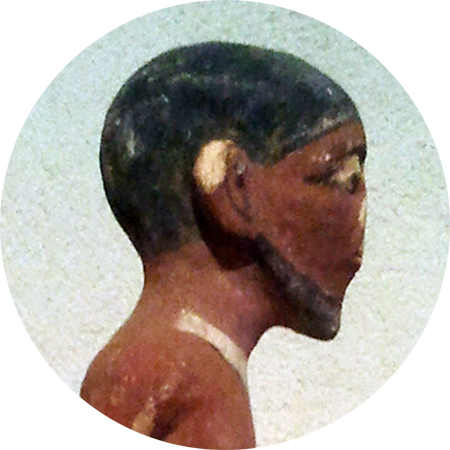 But however familiar it may be historically, it has taken on today an acutely bifurcated character. Thus, to put a complex phenomenon somewhat reductively, just as most Israelis saw Barack Obama’s Iran policy as an existential threat to their survival in the Middle East, most American Jews see Donald Trump’s presidency as an existential threat to their survival as a welcomed minority in a stable, tolerant United States. What results is an odd form of mirror-imaging. If most American Jews can’t abide Donald Trump and resent his popularity in Israel, many Israelis resent those same American Jews for hating Trump so much they can’t even thank him for moving the American embassy to Jerusalem. American Jews grumble: you Israelis insulted our former president, whom we loved; now you love our current president, whom we hate. Israelis return the volley: you American Jews loved your former president who threatened us; now you hate your current president, who protects us. One might be tempted to dismiss these particular sentiments as suggestive of a merely temporary dispute, an artifact of recent presidential elections in the U.S. or of policies adopted by the current Israeli government that are especially irksome to American Jews. But one would be wrong. In general, the survey findings buttress the conclusions reached by multiple other studies, research projects, and books over recent decades. All point to a deep-seated phenomenon: ongoing and long-festering strains between the two communities that threaten—as many now fear—to become permanent fixtures. What is certain, in any case, is that the present moment, characterized by mounting mutual anger and alienation on both sides, is especially volatile, and shows few if any signs of cooling off. Far beyond the headlines, many American Jews wince when they think or talk about Israel, and many Israelis wince when they think or talk about American Jewry. Many on both sides feel insulted and disrespected; many are hypersensitively quick to take offense. On both the American Jewish and Israeli scenes, our era of bad feelings has fed a deepening pessimism about any prospect of a shared Jewish future. And therein lies the impetus behind the present essay. In what follows, after delving more deeply into the issues, we will propose and spell out the underpinnings of an old-new idea, one espoused by presidents and philanthropists, by Zionists and academics, before us: the establishment of a global forum known tentatively as the Jewish People’s Council. Without pretending to resolve all the ills of the Jewish condition—that is the work of a higher power than ours—we believe this is one constructive initiative that could at least alleviate the worst symptoms of the present impasse and thereby point the way to a longer-term solution. For the sake of the three-quarters or more of Jews who, despite everything, continue to affirm their shared membership in the extended Jewish family, we can do no less than try. Most frequently, as we’ve seen, today’s crisis pits mainstream Israelis against politically liberal and religiously non-Orthodox American Jews—that is, the majority of the diaspora’s largest community. How, the rabbi of a non-Orthodox American congregation might demand, can I be expected to fight the delegitimization of Israel when Israel’s chief rabbinate delegitimizes me and my religious movement? To which a mainstream Israeli might answer: how can we, who’ve built this land with our sweat and blood and defend it 24 hours a day, take seriously the criticisms of non-Orthodox American Jews who, at a 70-percent rate of intermarriage, can’t even manage to stay Jewish? At higher levels of the two communities, growing numbers of American Jewish professors, media figures, and community leaders are calling Israel a disappointment and an embarrassment. At the same time, Israeli leaders are increasingly saying that, in the words of one government official, “the Israel that liberal American Jews want can exist only in their heads; their arrogant pursuit of that delusion have made them our biggest enemies,” and their “harsh attacks are free gifts to Israel’s delegitimizers.” The more readily American Jewish liberals voice apocalyptic statements about the death of Israeli democracy, the more readily Israelis write off liberal American Jews as a population cowed by anti-Israel propaganda and in any case doomed to diminishment, if not extinction, through wholesale assimilation. The more readily American Jewish liberals voice apocalyptic statements about the death of Israeli democracy, the more readily Israelis write them off as cowed by anti-Israel propaganda. A video of this exchange, barely noticed in the U.S., went viral in Israel. There, it was taken as Exhibit A of American Jewish ignorance and self-righteousness. To an Israeli, this response was especially shocking—as was its timing. Palestinian suicide bombers were murdering dozens of people, day after day, in buses and cafes, in Tel Aviv, in Jerusalem, in Haifa. We Israelis felt we were not only fighting for our survival while doing our best to protect civilians caught in the crossfire but were also in the forefront of a larger Western struggle against Islamist terror. To confront young, educated American Jews actively mouthing or passively accepting the false accusations charging Israel with committing war crimes against innocent Palestinians was painful and infuriating. Those moments gave the lie to the old piece of Jewish folk wisdom that our common enemies can always be counted on to unite us. In our time, just as it remains a singularly overpowering fact that anti-Semitism persists, so it remains a singularly depressing fact that this new anti-Semitism has become a prime if often unacknowledged mover behind much of the quarrel and tension between the two major Jewish communities. The outward face of the new anti-Semitism is the war against the Jewish state: a war waged by means military, political, diplomatic, cultural, intellectual, theological, and, yes, academic. It is a war conducted in the world’s media and social media, from the rostrums of the United Nations and on the opinion pages of the world’s press, in mosques and in churches. And it is also a war waged, in however qualified or adulterated a form, in some synagogues, in arguments rooted in disproportionate demonizations of the Middle East’s one democratic state. Today, that war has imposed a new myopia, with conservative and liberal Jews quarreling over the political and ideological source of the new anti-Semitism instead of uniting to combat it together or at least, in an agreed division of labor, actively taking on the extremists on their own respective sides of the political spectrum. How, then, to square the seemingly unrelenting bad news with the often-overlooked good news? For despite the cries of angry extremists, compounded by the muted acquiescence of disaffected moderates, a new kind of interdependence is evolving. Perhaps for the first time since Theodor Herzl renewed the ancient dream of Zion, today’s Israelis acknowledge their reliance on American Jews in the increasingly complex challenge of fighting the global attempt to delegitimize the Jewish state. And just as no fewer than 79 percent of American Jews in the AJC survey agree that a thriving Israel is vital for the Jewish future, 78 percent of Israelis say the same about a thriving diaspora. In one especially heartening sign, surveys conducted by the Cohen Center at Brandeis University show a higher percentage of Jews in their twenties now calling themselves “pro-Israel” than do Jews in their thirties—the reverse of the normal pattern in which older Jews have tended to exhibit stronger pro-Israel feelings than younger ones. Another sign: in the first six decades of Israel’s life, only about 20 percent of American Jews visited Israel at least once; in the last decade, that figure has more than doubled to 50 percent—all the more noteworthy in the era of the new anti-Semitism. 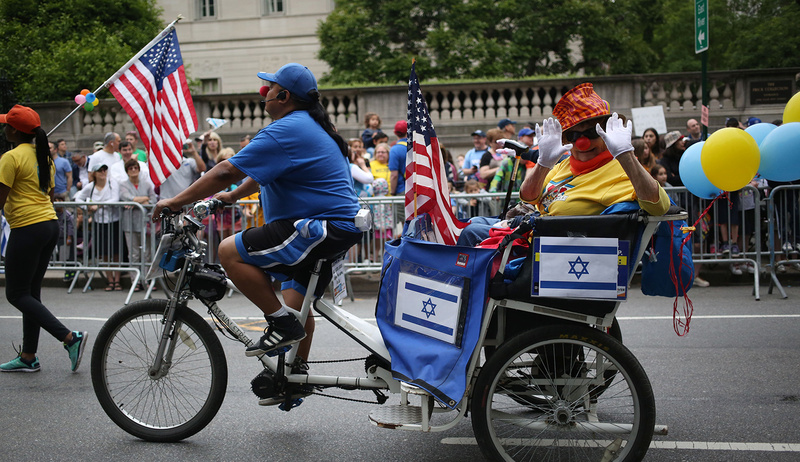 Reciprocally, more than 40 percent of Israeli Jews have visited America at least once. Moreover, as the proportions embracing the concept of an “extended family” suggest, and as the answers to specific survey questions confirm, being pro-Israel is, for most American Jews, not just a casually expressed preference. Many express strong feelings of closeness and the desire to stay together on a shared Jewish journey. Religious or secular, these Jews exude pride in the traditions, values, and ideas that have kept the Jewish people alive and that have contributed so bountifully to the betterment of humanity. The state of Israel was founded to guarantee the continuation of that journey and the perpetuation of those ideas and values. By definition, its mission is to rally together every Jewish community and every Jew participating in this great common enterprise. Like their American Jewish cousins, most Israelis don’t want to see the Jewish people splintering into disconnected fragments; most of us simply don’t want to see Jewish history ending on our watch. Can anything be done? In the 1990s, dramatically climbing rates of intermarriage and assimilation caused American Jewish communal leaders to worry aloud whether their own children or grandchildren would remain Jewish. To meet this “crisis of Jewish continuity,” as it became known, the Taglit-Birthright Israel program, conceived and funded by far-seeing American philanthropists, stepped in to bring massive numbers of young Jews to the old-new Jewish state. By now, 650,000 have participated in these ten-day trips, many of whom have gleaned from their encounter with the living, breathing Jewish polity the tools, and the inspiration, for strengthening their own sense of Jewish identity, wherever they might live. In these ways and others, then, undeniable evidence of the two communities’ hastening divergence is countered by positive signs not only of convergence but of interdependence. But here’s the irony: this new intimacy itself generates new, often disruptive demands. As with a spouse—or a cellmate—the more you come to rely on each other, the more intensely you scrutinize each other. When American Jews started turning to Israel to solve their identity problems, Israel’s slighting of the non-Orthodox branches of Judaism suddenly stung more deeply. Historically, when American Jews were mostly helping Israel by sending checks, Israel’s relegation of authority to its Orthodox chief rabbinate over matters like marriage, conversion, and other aspects of personal and civil status may have been annoying to the Americans but could mostly be ignored as irrelevant. When, starting in the late 1960s but intensifying rapidly in subsequent decades, American Jews started turning to Israel to solve their identity problems, Israel’s slighting of the non-Orthodox branches of Judaism suddenly stung more deeply and came to be more resented. In parallel, as Israelis continued relying on American Jews to help them fight boycott threats and UN sanctions, American Jewish criticism of Israel’s policies became more pointed—and more resented by those criticized. Thus has the new and unfamiliar interdependence itself raised the emotional stakes, escalating minor irritations, especially when mismanaged, into major breaches. If divergence has propelled the two communities ever farther apart—even, some fear, to the point of no return—convergence, wholly welcome in itself but operating at a higher speed and a faster rate than in the past, raises its own risks of collision and damage. Most Jews today live in different neighborhoods, and their neighborhoods—their environments—have shaped very different political sensibilities. If Israel’s far-left and electorally weak Meretz party were to run today among American Jews, in all probability it would win big, while Likud, Israel’s increasingly popular ruling party, would be marginalized. In the light of that disparity, and in light of all we’ve written so far, realism requires still another acknowledgment: even if peace between Israel and the Palestinians were to break out tomorrow, and even if every Reform and Conservative Jew were suddenly to feel welcomed in Israel, American Jews and Israelis would remain discrete entities and still find many issues dividing them. The simple truth is that diaspora Jews and Israeli Jews have freely chosen to inhabit dissimilar political and social orders. Israel is building a democratic Jewish state with a Jewish majority in a Middle East hostile at once to democracy and to Jews. The strategies prized by Israelis focus on ensuring that state’s physical survival, its welfare, and its principal identity as a polity of, by, and for the Jewish nation. For them, defending that identity often means emphasizing sameness and solidarity. The history here is pertinent. In the great project of unifying a newborn state composed of Jews who had been scattered all over the world, David Ben-Gurion, Israel’s first prime minister, was obsessed with reducing differences among them. 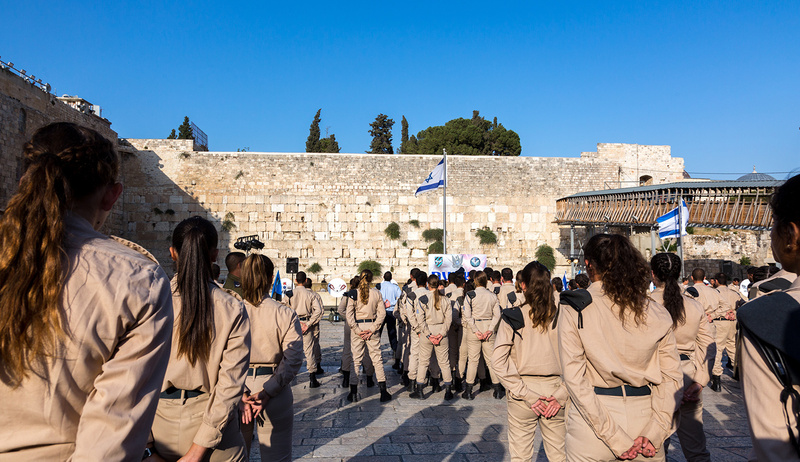 It was hard enough, for example, to forge a modern army that could accommodate all religious Jews and their ritual needs; at the very least, the IDF required common denominators, including a single standard of kashrut, a single way of observing holidays. Most Israelis, of all stripes, have appreciated this unifying, collective impulse, not least where religion is concerned. Even for the secular, the regnant concept, inherited from Ben-Gurion and reflecting his nationalist strategy, is that “the synagogue I don’t pray in is Orthodox.” In general, Israelis may not care about the kind of prayer that takes place at the Western Wall in Jerusalem—about which, more below—but for them it is a given that the common religious denominator in Israel will be Orthodox. They therefore don’t understand why they should risk political stability, the religious status quo, and Israel’s own always-fragile sense of Jewish unity for a form of pluralism that looks like a foreign import. After all, the major non-Orthodox movements emerged in Europe two centuries ago in the wake of Jewish emancipation, when the burning question was how, as newly enfranchised citizens in Gentile societies, Jews were now to live and conduct their Jewish lives—how they might continue to stick out, however modestly, while fitting in. That question is one that Israelis have never had to ask—which explains why even the 58 percent of Israelis who tell pollsters they support religious pluralism nevertheless vote based on many other economic, social, political, and security-oriented issues that they deem more pressing. The majority of diaspora Jews, by contrast, inhabit Jewish communities in democratic societies where they are welcomed as fellow citizens but, just as often, implicitly encouraged to disappear as a distinctive ethnic minority. For diaspora communities bent on ensuring their own Jewish survival and identity, the task thus requires at once defending their country’s liberal character so that it remains a welcoming home while fighting assimilation by remaining in some ways different from the surrounding culture. For the non-Orthodox, the latter task is often seen as requiring the revision of various traditional forms of Jewish religious expression. What’s true of the diaspora in general is also true of the Jewish community in the U.S., but with its own particular twist. Contemporary American Jews live in a culture that deifies individual choice; by that criterion, Ben-Gurion’s single-standard impulse is impermissibly authoritarian. In their update of the two-century-long conversation about how to preserve a distinctive tradition in modern, freedom-oriented cultures, most American Jews want a Judaism that demonstrates its resonance with modernity by being open, adaptable, even personally customizable. They therefore see their religious and denominational pluralism and experimentalism not as dilution or abandonment but, to the contrary, as being of the very essence; for them, trust in the principle of choice is the fundamental building block of identity. Of course, we “wandering Jews” are accustomed to living in different societies, and to differing among ourselves. Over the centuries, Jews developed an impressive track record of disagreeing with each other—if also of improvising ways to cooperate effectively and creatively when necessary. But today, for the first time in 2,000 years, most Jews live under two radically separate constitutional arrangements. Rather than being united by a shared homelessness, half choose to live at home as sovereign citizens in the Jewish homeland, and most of the other half feel at home elsewhere. More precisely, post-1948 reality has left roughly half the world’s Jews with the conventional political and social means of nation-building, and the other half without them. For the first time in 2,000 years, rather than being united by a shared homelessness, most Jews live under two radically separate constitutional arrangements. In formal democracies with parliaments and other conflict-resolution mechanisms, opinions can evolve and compromises can be forged so long as issues are brought out into the open rather than buried in secrecy. Although Israelis have proved themselves to be experts at parliamentary partisanship, they, unlike the Jewish people as a global entity, are stuck with each other in a relatively small space while often facing rather big problems. The resulting strain, though often intense, produces a surprising fringe benefit: over the long run, Israel has been defined not only by the ferocity of its internal political arguments but also by the ameliorating quality of its common life. 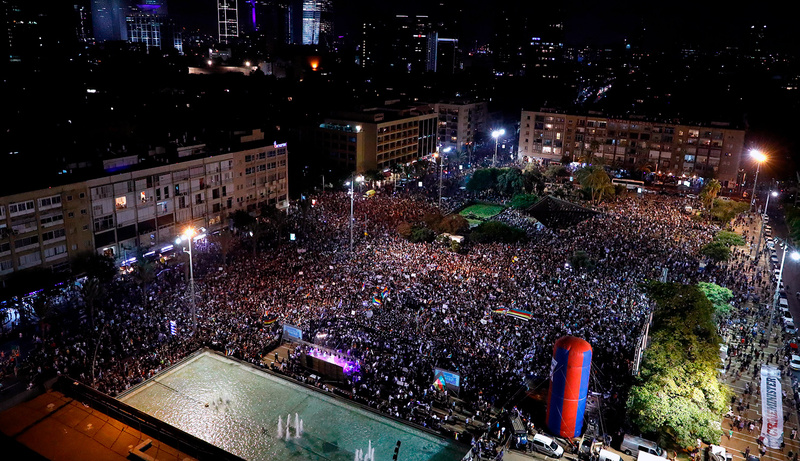 Like citizens in other healthy democracies, Israelis have thus stumbled forward together, often improvising impressive results as they build on the ground while their politicians and intellectuals predict catastrophe online. Mainstream Israelis, for example, are volubly irritated by the exemption from military service historically granted to ḥaredi (“ultra-Orthodox”) Jews. Nevertheless, year by year, more Ḥaredim have been joining the army—and, no less importantly, entering the world of work. Some Israeli Arab legislators complain loudly of being oppressed, and some Israeli Jewish legislators accuse them of being traitors. Nevertheless, year by year, more Israeli Arabs join the middle class. Even when it comes to relations with the Palestinians—the great fault line of Israeli politics—Israel’s tempestuous democracy has moved toward a rough consensus, with more than 50 percent accepting the once unacceptable principle of a two-state solution. At the same time, most join together in rejecting the kinds of unilateral withdrawal that backfired so spectacularly in Gaza, and most refuse to believe that corrupt dictators can guarantee Israel’s security as Israelis leaders once trusted Yasir Arafat to do during the Oslo years. For diaspora Jews, the frustration is understandable—a Jewish version of taxation without representation. It’s no fun being an American Jewish liberal who feels connected to Israel when your local headlines scream “Israeli Soldiers Kill Sixty Palestinians” and you feel personally indicted. But it’s also no fun being an Israeli patriot, committed to Jewish unity, when some diaspora denomination changes its definition of who is a Jew without asking your opinion and suddenly your government is in a coalition crisis because it’s expected to adjust its own policies in turn. For both, the frustration is only exacerbated by their growing closeness in the shrinking global Jewish village. Instead of enjoying the classic democratic privileges of what John Locke called the consent of the governed, both Israeli and American Jews feel burdened by the responsibility of the implicated, saddled with positions and actions they don’t share and have no opportunity even to try to shape. And that brings us to another factor that further complicates the situation. Unlike the general rule in democracies, the relation between Israel and diaspora Jews doesn’t quite fit the useful categories of citizen versus non-citizen. If it did, the basic rule of civics—if you don’t vote, you have no right to complain—would apply across the board. But in this respect, too, Israel remains a special place: one in which diaspora Jews enjoy an intermediate status. In accordance with the Law of Return, they can become Israelis at any time, which makes them a species of citizens-to-be. Even in choosing not to become Israelis, the fact that Israel is the Jewish people’s home means that non-Israeli Jews remain, as it were, stakeholders in the Jewish state. Similarly, the fact that Israelis live in the Jewish people’s home means that they, in turn, are stakeholders in every diaspora Jewish community. Both Israeli and diaspora Jews are like stockholders who lack majority shares in each other’s companies but nevertheless want a voice in shareholder meetings. Like stockholders who lack majority shares in each other’s companies but nevertheless want a voice in shareholder meetings, both Israeli and diaspora Jews would benefit from mechanisms for engaging with each other and feeling that they and their two perspectives—one of them more community-driven and particularist, the other more freedom-oriented and universalist—belong together. In an institutional vacuum, without a common political and religious stage, each fails to benefit from the other’s perspective, and both forfeit the opportunity to forge a consensus for advancing joint goals. Instead, clashing partisans juggle different parts of what increasingly seem to be two incompatible perspectives. In fact, most conflicts can more helpfully be seen as reflecting different understandings of a single intertwined political-religious legacy, one of the oldest of them all: the uniquely Jewish vision of particularism as the first stepping stone and necessary precondition of universalism. The prime and still smoldering example of the quandary we’ve been sketching has been the long-running fight over the kind of prayer that is to be allowed at “the Wall” in Jerusalem—the Kotel, to use the Hebrew name for what in common usage refers to the small main plaza fronting the western retaining wall of the Holy Temple. The conventional explanation for the fracas, which blames small ḥaredi parties for imposing Orthodoxy on Israel through political blackmail, tells only part of the story. Ultimately, as we have stressed, most Israelis approach matters of state and religion more communally, while diaspora and especially American Jews approach them more individualistically. In the fight over prayer at the Kotel, what should have been a relatively simple issue—because the Wall as a whole is physically quite lengthy and could accommodate different groupings—turned out to be so complicated because the ideological currents stirred by it run so deep. Yet the story of a four-year experiment to bridge these fundamental and fundamentally clashing issues—an experiment still awaiting its happy ending—is also instructive. The great progress made in the negotiations may even point a way forward. The experiment took place from 2012 to 2016. The Women of the Wall—an Israel-based organization founded in 1988—had long been demanding a few hours every month for public women’s prayer services in the main plaza, which, even had they remained gender-segregated, would still violate the strictest Orthodox traditions. Alternative spaces were proposed, but the group rejected all of them as equivalent to “the back of the bus,” a stinging phrase from America’s civil-rights movement that framed the issue as a fight for fundamental human dignity. The government, like most governments, mostly wanted quiet. 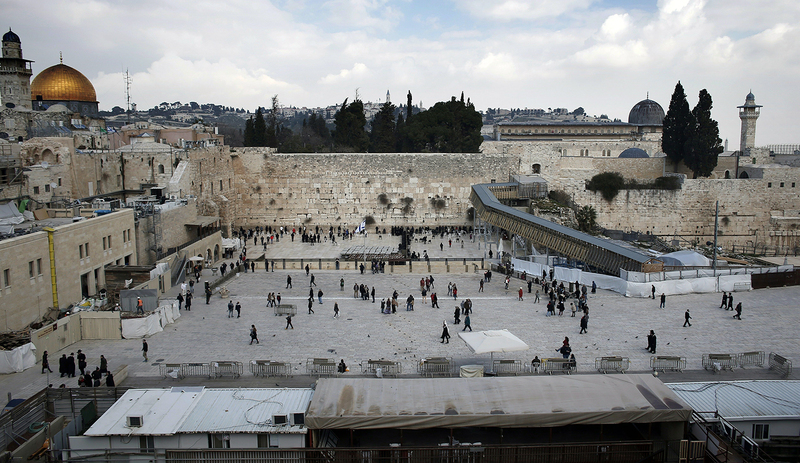 But it had no intention of weakening Israel’s religious status quo at the Kotel or elsewhere. So it’s no surprise that, starting from such positions, finding a compromise should have taken four long years. Round after round of negotiations eventually grew to include many prominent political and religious authorities, Israeli government representatives, the leadership of the Jewish Agency for Israel, representatives of Women of the Wall, heads of federations and of the Conservative and Reform movements, and the “rabbi of the Wall” (a designee of the chief rabbinate). The rabbinate would maintain its monopoly in the main, “official” area, running the Wall as an ultra-Orthodox synagogue and tolerating no protests and no interference with that arrangement. A shared entrance to the Wall would emphasize the principle that all enter the area as equals, regardless of where they might choose to pray. A special administrative council would guarantee the liberal movements’ autonomy at Robinson’s Arch, even as governments changed. The committee would include representatives of the liberal movements in an unprecedented partnership with government representatives. The compromise required painful concessions from many. To some members of Women of the Wall, the debate over accepting the rabbinate’s monopoly at the main plaza proved so unpalatable that the organization splintered. On the other side, the fact that the Reform and Conservative movements had gained three major concessions made it politically impossible for the ḥaredi ministers in Netanyahu’s cabinet to approve the compromise—although under pressure they did agree to live with the majority decision. In the end, on a seemingly miraculous day in 2016, 15 ministers voted for the deal, 5 against. What made this once-impossible deal possible? All of the leaders involved understood the seriousness of a situation that had seen intra-Jewish violence breaking out regularly at the Jewish people’s holiest religious and national site. Naturally, no one wanted to be blamed for the continuing violence, and eventually, through round after round of back-and-forth, all involved took cognizance of their rivals’ red lines—which in turn defined the parameters of the compromise. With the government committed to Israel as the home of every Jew, it became clear that continuing to deny a respectable place for egalitarian prayer at the Wall would be interpreted by thousands of Jewish communities abroad as a large sign indicating they were not welcome in Israel. At the same time, this government—like all of its predecessors from left to right—was not ready to risk social stability by challenging the centrality of Orthodox practice in Israel. Hatched in secrecy, with little institutional grounding, the Kotel deal lacked the legitimacy that comes from a battle fought out in public or validated by elections. But then the constructive flexibility and sunniness of 2016 all went south, giving way to destructive blackmailing and despair. How so? Unfortunately, the public had not been part of the conversation. All that open discussion, all that clarification of opposing views, all that consensus-building, all the defining and respecting of each other’s red lines, stayed behind closed doors. As a people, the two sides didn’t stumble democratically together toward compromise, let alone toward mutual empathy. As a consequence, when, on June 25, 2017, one ultra-Orthodox political faction threatened to jeopardize the country’s governing coalition by quitting if the compromise went through, the prime minister abruptly abandoned (or “suspended”) the hard-won plan, alienating many diaspora Jews without having to pay any real political price domestically. Hatched in secrecy, with little institutional grounding, this process lacked the legitimacy—and resilience—that comes from a battle fought out in public or validated by elections and legislatures. If we had spent four years building bridges publicly and not just privately, recruiting American Jews and Israelis across the board into the process, both the dynamic and the result might have been very different. Even so, we came very close. As disappointing as it was to see the Kotel compromise vetoed, it has been even more troubling to see this experiment in Jewish unity and flexibility forgotten, with all parties stuck in their own silos, their own communities and sub-communities. And so the underlying question re-emerges: what makes the Jewish people a people today, and what actions can express that reality? The Kotel compromise, like the polls we’ve cited earlier, showed that most Israeli Jews and most diaspora Jews want to continue their Jewish journey together. Most understand that Jews are not just a religion, and that their ties are national as well. This overriding desire for unity, despite divisions, presents the time-honored conditions that peoples-in-formation have overcome by establishing a democratic government. That is emphatically not our proposal. Israel, the sovereign Jewish nation and the center of global Jewish life, already has a democratic government. Instead, we’re building on a conversation that started with Theodor Herzl and the First Zionist Congress of 1897, continued a century later with two Israeli presidents, Ezer Weizman in the 1990s and his successor Moshe Katzav in the 2000s, and has most recently been spurred by the Russian Jewish philanthropist Mikhail Fridman. In proposing a Jewish People’s Council, we have in mind a forum—part mediating institution, part reconciliation vehicle, part safety valve—for debating and acting together as a people even as not all of us share the same geographical boundaries and many of us have our own responsibilities as citizens in our separate geographic homes. To clarify further: just as the Jewish People’s Council would not be a government, so it would also not be the parliamentary or congressional branch of a government—a substitute Knesset. Ours is not a proposal for power-sharing. Such proposals, too, have surfaced in the past, and have rightly been shelved. A Jewish People’s Council would not legislate. Its character would be voluntary, its actions advisory, its spirit covenantal. Only in this last, key respect would it resemble all true parliaments in expressing the desire of our people to be part of a single ongoing story, and to affect, as much as possible, our shared destiny. How would it work? 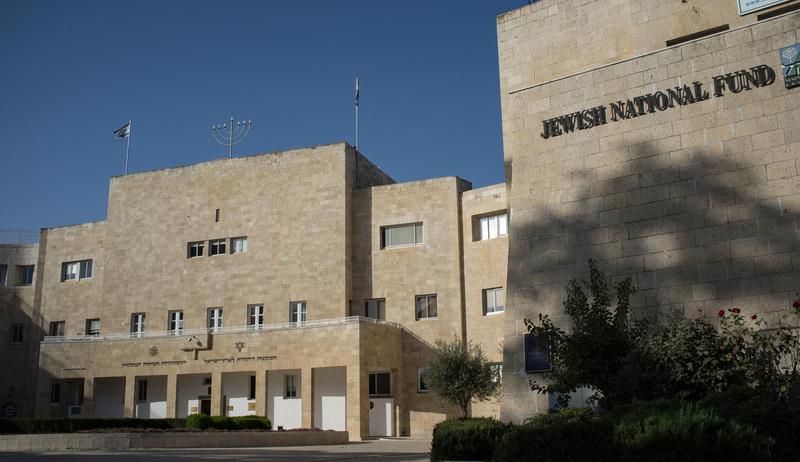 In terms of its composition, the Council might at first consist of members of the Knesset along with the existing representatives of major Jewish organizations from around the world. As the enterprise gained credibility, broad popular elections, facilitated by means of social media, could be held for two- or three-year appointments. Thinking through the practical issues surrounding such elections—from determining the eligibility of candidates, to ensuring the integrity of the voting process, to facilitating representative outcomes—is an enterprise in which we happily encourage all interested Jews to participate. Suffice it to say for now that the entire electoral process, if properly handled, could produce a salutary effect of its own, being the kind of exercise that could help manage, and mitigate, some of our ongoing conflicts. The Knesset convenes three times a year. Imagine now that, before each session, a kind of consultative partnership between the Council’s executive committee and the legal advisers of the Knesset would generate an agenda regarding which issues would benefit from soliciting the opinions of diaspora Jewry. Picture delegates from Israel and around the Jewish world then considering and debating the relevant issues, focusing in particular on any proposed laws the Knesset’s legal adviser has determined might affect diaspora interests—with the Council issuing advisory (again, not binding) opinions. The Knesset might then require of itself a special super-majority before overriding the expressed interests of diaspora Jewry. Such consultations could, for example, avoid the absurd recent situation in which the Knesset passed a law intended to help fight BDS without consulting those in the diaspora actively fighting BDS. 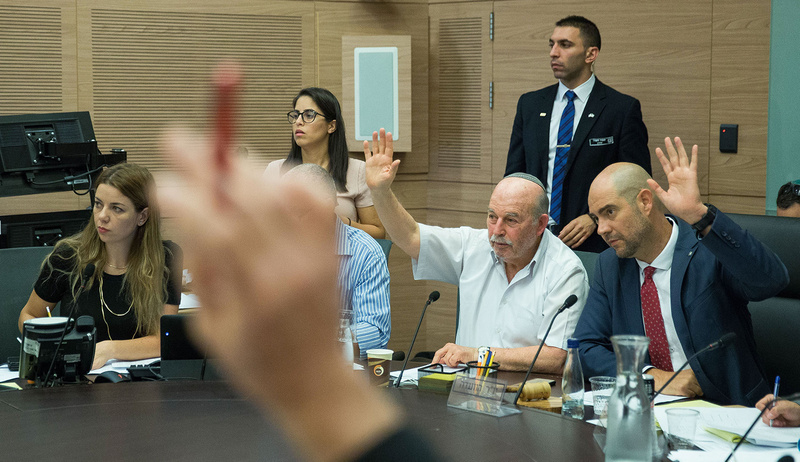 Picture delegates from Israel and around the Jewish world focusing on any proposed laws the Knesset’s legal adviser has determined might affect diaspora interests. By the same token, Council members would also debate any significant decisions by a diaspora Jewish organization that, in the Knesset’s view, could adversely affect Israeli interests—with any pushback from the Knesset guaranteeing a second look by the diaspora organization in question. Such an arrangement could, for example, alert an American-based denomination contemplating a change regarding its conversion rules to the possible impact of that change on future immigration prospects under the Law of Return. Moving to specific areas, while all national-security decisions obviously remain with Israel as the sovereign entity solely responsible for its fate and its soldiers’ and citizens’ safety, one could foresee, for example, a regular briefing in which the Council’s own security committee would be afforded an inside look at Israel’s security dilemmas and choices, thereby having a chance to interact not with Israel’s PR flaks but with its decision-makers. Turning elsewhere, a foreign-aid committee of the Council could launch cutting-edge, on-the-ground projects to help unify the Israeli and diaspora communities, while an education committee might pose equally but differently tough questions about Jewish schooling (like why American day schools have abandoned Hebrew, why Israeli schools teach so little about diaspora Jewry, and why no one seems to have figured out how to teach Zionism effectively). When it comes to truly radioactive issues like the Western Wall, a proper advisory body of the Council might hold hearings, argue things out, negotiate solutions, arrive at a compromise—in public. Instead of just bemoaning intermarriage, Israelis and diaspora Jews might together brainstorm, formulate, and press for the adoption of agreed strategies for a robust Jewish future. If this vision sounds too rosy, or assumes too much basic collegiality, picture something closer to the atmosphere of the actual Knesset—or the Jewish blogosphere. If the Council doesn’t continue the long, disputatious history of the Jews as a people, it won’t be real. So, in a meeting of the immigration and absorption committee, picture American Jews (falsely) accusing Israelis of bringing in white Russian non-Jews while allowing black Ethiopian Jews to languish, and Israelis reminding their accusers of American Jewry’s record, in defiance of Israeli authorities, of bringing in Russian Jewish dropouts but notably failing to welcome Ethiopian Jews—100,000 of whom have by now become Israeli citizens. Along a different axis, Jewish conservatives might attack Jewish liberals for turning a blind eye to left-wing anti-Zionists, and Jewish liberals attack Jewish conservatives, including some in Israel’s government, for hobnobbing with right-wing European ultra-nationalists who claim to love the Jewish state while demonizing their own Jews. By itself, such contentiousness won’t reveal anything new. But when dueling opponents leave their fortresses and Facebook pages, they can begin to treat each other as human beings, in the way that public forums often rouse the silent, more reasonable, majority. Today’s Twitter-tiffs favor the anonymous hit-and-run extremist. Together, by contrast, it might be possible to figure out how to bring the final remnants of Ethiopian Jewry to Israel without the Israeli government and diaspora organizations working at cross-purposes. Or how to develop a combined curriculum for a course in the history of one Jewish people aimed at young Jews hitherto self-cloistered in Start-Up Nation, Yeshiva Nation, or I-Must-Get-Into-Harvard Nation. Or how to form a broad-based coalition against the delegitimization of Israel, drawing clear red lines and clarifying the respective communities’ needs rather than helping enemies pit the Jewish left against the Jewish right. It’s democracy 101: better to argue with, rather than about, each other. Even if it were impossible to achieve full agreement on the hottest of all the hot-button issues—namely, what constitutes Jewish identity, or “who is a Jew?”—airing differences constructively, face to face, might reduce the number of secret rabbinic “blacklists” circulating in Israel and the number of serious rabbis in America who, as mentioned earlier, feel delegitimized by Israel as Jews even as they fight the delegitimization of Israel by non-Jews. Even without decision-making power, a meaningful intercommunal dialogue and debate could accomplish much good, reminding Jews throughout the world of their common commitment to a secure, stable, and democratic Israel and to maintaining Jewish continuity worldwide. It’s fair to ask: who needs this? Don’t we already have organizations to act as bridges between Israel and the rest of world Jewry? Theodor Herzl created what is now the World Zionist Organization (WZO), which even holds worldwide elections for its Zionist Congress. David Ben-Gurion founded what’s now the Jewish Agency for Israel (JAFI), whose board unites representatives of Israel’s political parties with representatives of key diaspora organizations. These institutions, however, were created long ago to support a fragile yishuv in Mandate Palestine and then a young, vulnerable Israel. JAFI’s main goal was to rescue Jews through mass immigration, aliyah. But even as its two constituent elements accomplished great things together, they looked at each other somewhat askance. Diaspora Jews were saving embattled Israel with money and political support, while Israel was saving world Jewry from anti-Semitism and assimilation. These changed conditions are what enabled Natan Sharansky as JAFI’s chairman to devote the last nine years to reformulating its central mission as one of strengthening Jewish identity worldwide. 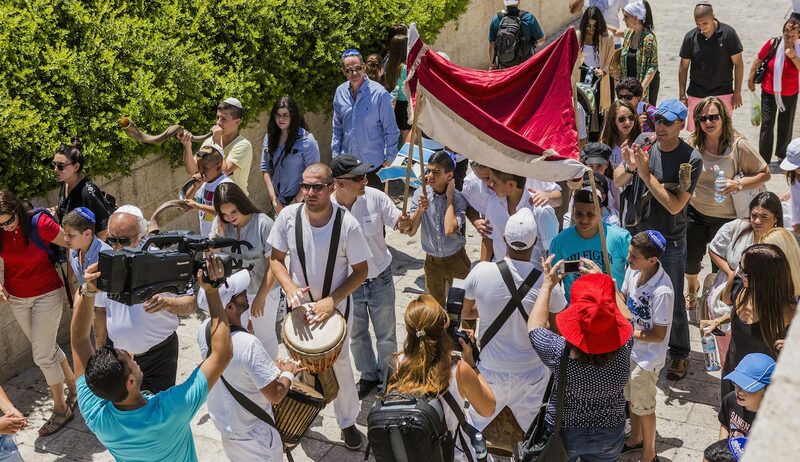 The central element of most programs became encounters between Israelis and diaspora Jews, bringing groups of them together in a variety of settings to accomplish a variety of identity-strengthening goals. With the number of interactions, partnerships, friendships—and, most influential, face-to-face experiences of Israel—soaring, the aliyah numbers themselves nearly doubled. As the relationship among the communities became flatter, more equal, and more personal, these hard-fought reforms made the Jewish Agency a more suitable platform for discussing structural and ideological differences among them. Unfortunately, however, built-in restrictions, mainly stemming from the agency’s original mandate, also limited the impact of such discussions. We saw the power of constructive dialogue, with personal relationships flourishing from the bottom up, even as many formal interactions soured from the top down. Although JAFI and some other organizations now facilitate interaction and civil-society projects at the grassroots, they don’t involve representatives debating and negotiating national policy at a high level, addressing the big issues, reconciling different perspectives, trying thereby to integrate the Jewish world as a whole. That is the mission of the Jewish People’s Council. We recognize the many obstacles, from mobilizing Jews to vote to getting the Knesset to accept advice and act upon it. But those who believe, as we do, that the circumstances are uniquely challenging, the need pressing, and the potential for improvement great, will surely rally around a leadership strongly motivated and a program clearly and forcefully articulated. We also understand the need to begin slowly, even with less than fully representative forums, and to build credibility, momentum, impact. And we’re mindful of all those who came before us and what they bequeathed us. Theodor Herzl’s first World Zionist Congress in 1897 represented a wide spectrum of Jews and featured great drama: rousing speeches, sweeping visions, white ties and tails. Then, in August 1903, the Sixth Zionist Congress blew up over the British government’s offer of territory in the Kenyan highlands as (in Herzl’s cautious presentation of it) a temporary refuge for persecuted Russian Jews. Delegates from Eastern Europe were so furious at the very notion of debating so inherently subversive a proposition that they walked out en masse. At the seventh congress, the idea was defeated. The passions of those days, which almost split the Zionist movement, also proved the making of the Congress as an institution. Today, Knesset sessions in Israel are often punctuated by rancor and bitterness, hostility, mistrust, and plain bad manners; but they also get things done. On its own way to getting things done, the Jewish People’s Council can similarly survive and prevail over today’s acerbities and resentments. For the sake of the Jewish majority—to end on the note with which we began—we have no choice but to try.